Who am I to say that? Well, nobody special, really. “Best books” is subjective. My favorite books include National Velvet (because I read it 35 times or so), Watership Down, The Hobbit, and Jane Austin stuff but I won’t quibble if they aren’t yours too. When it comes to nonfiction works, the criteria is slightly different. Nonfiction can contribute significantly to the body of literature in a field. A commendable piece brings something new and enlightening – a fresh view, uncovered evidence, updated imagery. My choices of best nonfiction have substance, credibilty, and are groundbreaking must-have books to those interested in a particular field. Thus, some of my favorite books in the cryptozoology/paranormal realm are Ben Radford’s Scientific Investigation of the Paranormal and Tracking the Chupacabra. These were excellent examples of scholarship and much needed in the literature. They also were praised by many others. I also favorite must-have books such as Sagan’s Demon-Haunted World and Origin of Species because of their tremendous insight and inspiration as well as quotable and beautiful language. You can see the Doubtful News cryptozoology section of our bookstore here. It’s hard for me to pick favorite books since it depends on the subject area and the mood I’m in that needs to be satisfied. But there is NO DOUBT that one of the most important cryptozoology books ever is Abominable Science by Loxton and Prothero. It’s impressive and important – a MUST-HAVE if you call yourself a cryptozoologist. But it was ignored by the Bigfooters (arguable not part of the field of cryptozoology because of their narrow niche) or panned by a small portion of cryptozoology believers who seemed too joyous in ripping it apart. If you haven’t gotten a copy, you are missing out. I am so adamant about it because it’s impressive. I had heard about the book around its inception. I caught peeks into the process here and there as Dan and Don worked diligently to produce a high quality volume. 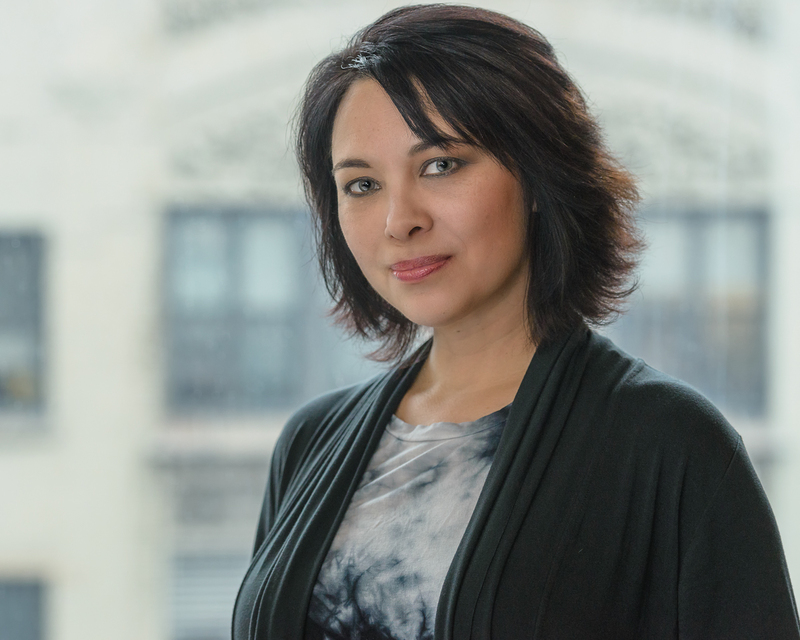 Care, scholarship and new information – that counts for a lot in nonfiction. Nature thought so. So did the Wall Street Journal and Inside Higher Education. See Publisher’s Weekly, The Scientist, and other reviews here. When was the last time a crypto book got such praise and widespread notice!? Abominable Science was an outstanding accomplishment. Strange Pennsylvania Monsters by Michael Newton (Schiffer Publishing, Ltd., 2012) is the second book of this type that I’ve read and reviewed. It is considerably better than 2011’s Monsters of Pennsylvania by Patty Wilson which I reviewed here. These local guidebooks to monster lore are commonly categorized by type of animal. Pennsylvania’s most famous cryptids are Bigfoot and the Thunderbird, but we have an array of weirdness. Even though I, personally, find rather little value in these stories which can’t typically be confirmed and lack any worthwhile detail, I think it’s nice to have a comprehensive volume about the monster tales associated with certain areas with one caveat – THERE MUST BE REFERENCES. This was my major gripe with Wilson’s version to the point where it was almost useless. Newton’s book has references although some are highly questionable such as personal accounts gained privately or through newspapers. In the section on giant snakes, the stories were not believable. The memories were old and, as we know, memories change tremendously with age into something that may not resemble the original situation at all. These types of stories read more like tall tales and skew the data set of anecdotes by suggesting there are many of these odd animals around and there must be something to it. I’m in a reading phase. I have 168 on the list of books I have and need to read. I recently got through three and here are my impressions. They sort of have a monster theme. From imaginary/real to some people think are real to YES ABSOLUTELY REAL AND IN MY BASEMENT! 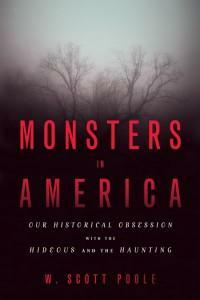 I heard the author of Monsters in America (Poole, 2011) interviewed on Monster Talk and knew I had to get the book. It was not like any monster book or any history book I have read before. Monsters are complicated. This book expresses that. It’s not so simply to just trace the roots of the folklore, the monsters are ever changing in response to how we need to use them. The research that went into this book is outstanding and deserves to be in every monster-lovers library (cryptozoology or horror fan). It’s not the easiest read because of the density of information but because I love this stuff, I had no trouble plowing through it quickly. I learned a lot of new stuff. While I won’t always agree exactly with the interpretations, this is a great mind-opening array of ideas that helped me understand American pop culture a bit more deeply. There is a stereotype about Bigfoot and Nessie devotees. Typically, they are middle-aged or older men, often with facial hair. They seem obsessed and the public might see them as a bit “off”. It’s true that there is not that much diversity in the list of monster researchers. 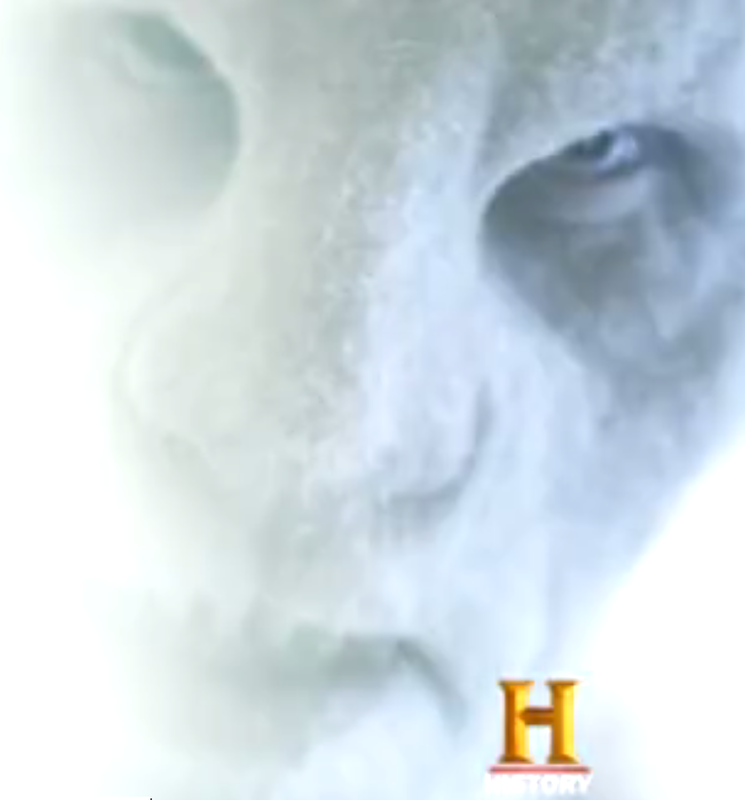 But, cryptozoology is changing. Today’s researchers are examining questions from a new perspective. They can organize and communicate better thanks to the internet. There are new types of books and media. I feel positive about the future of the field of cryptozoology and excited for new things to come. 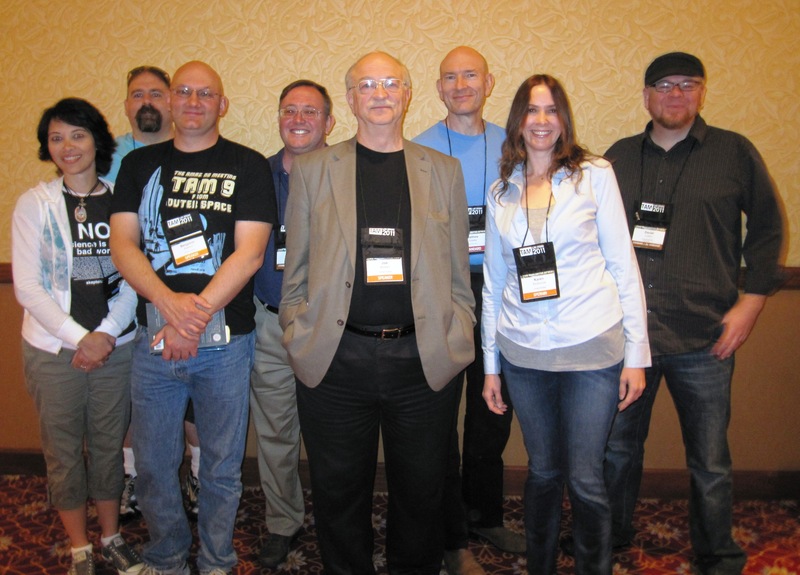 At The Amazing Meeting 9 (TAM 9) in Las Vegas in July, gathered together was a group of people that had everything to do with my positive attitude. All the people in this photo contribute to moving the subject of cryptozoology away from the stereotypes and the paranormal realm and into the circle of popular cultural and scientific understanding. This group is no less excited by the idea that cryptids are real, unknown animals. It’s just that we are realistic about it. We don’t assume the stories can be taken at face value because we know mistakes are made. We do not come in with a presupposed notion about what a person saw. Our scope is larger; our conclusions are based on what we know is likely true, not what we wish to be true. Bigfoot Evidence has posted a link to a website called “Is Bigfoot Real” [refrain from clicking unless absolutely necessary] which contains a page called “Bigfoot Facts for Kids”. Where Has Bigfoot Been Seen? Bigfoot has been spotted all over the world. People often see Bigfoot in wooded areas or high in the mountains. What Does Bigfoot Eat? Bigfoot is an omnivore. This means he eats both plants and animals. Researchers say Bigfoot eats nuts, berries, fish and deer. How Does Bigfoot Act? Bigfoot is shy. He likes to live with others of his own kind but doesn’t like being around people. He doesn’t like to have his picture taken so it’s hard to get him on film. 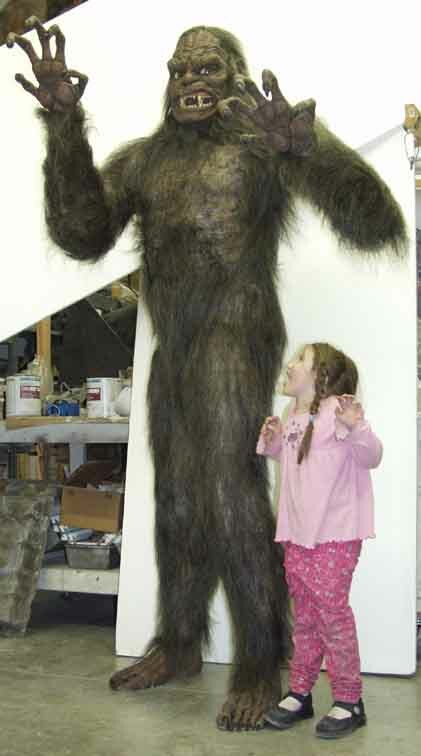 Bigfoot talks to each other by making loud calls across long distances. In a recent post on Skeptoid blog, I suggest that paranormal-based tourism, such as ghost tours and monster festivals, which are growing in popularity, border on fraud.